After all our research to educate you about choosing the best location, best tree and best way to decorate the perfect Christmas tree, we’ve moved on to, well, let’s just say, less important debates around here. While being in the artificial Christmas tree business makes us feel like experts on the season, we have come across a fundamental divide around here (and in my own home). 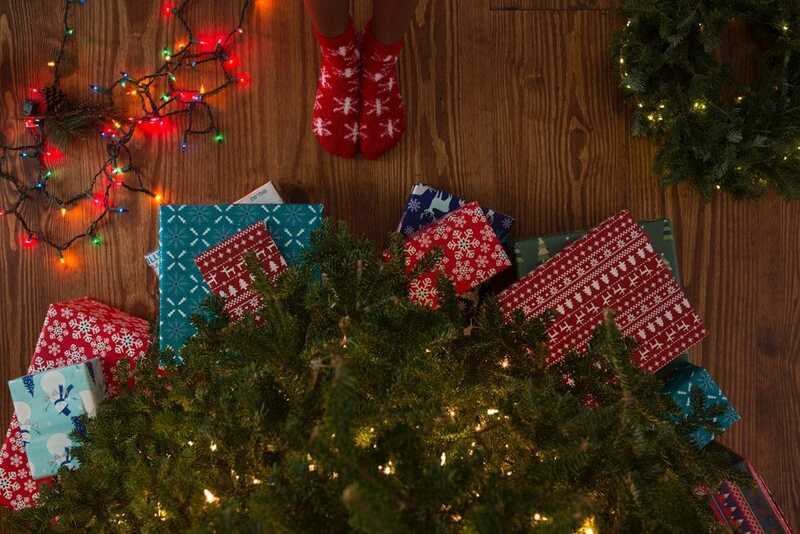 Where do Christmas presents belong? Growing up, many of us had gifts placed under the Christmas tree, presumably as they were wrapped. Others had a beautiful tree with a cute little train or other decoration around the bottom until Christmas morning, when all the gifts appeared. So, which one is right? I’m a big fan of putting the gifts under the tree for several excellent reasons (at least in my mind). First of all, we work hard wrapping those gifts! They should absolutely be put on display for as long as possible! Plus, they accent the tree (see our Perfect Tree series for info on wrapping gifts according to your theme). It can also create anticipation on the part of the gift recipient and build imagination, especially in little ones. Finally, it’s a great test of willpower and helps build restraint. Opening a gift before Christmas was unheard of in my family and we all abided by those rules, but of course that didn’t stop us from perusing and possibly giving a shake here and there. There are some downsides though. It can lead to gift counting (often done between siblings as a competition, but I do know some spouses who participate as well). It can cause comparisons, disappointments and the occasional ‘accident’ of dropping a gift or shaking it too hard. On the other side (and hubby’s preference), is keeping the gifts tucked away until Christmas morning. When we’ve had very small children or young animals, I have always agreed with this 100%. It keeps the gifts safe from their hands and teeth. It also keeps them safe from those ‘shakes’ I mentioned earlier. But the absolute best part of stashing your gifts away is that magical WOW moment it creates on Christmas morning. Gift giving began as part of the pagan celebration of winter solstice and was adopted by Christianity, being linked to the story of the 3 Kings. Until the rise of commercialism in Christmas, gifts were actually placed ON the tree. They were often glass ornaments, gingerbread men, dolls or candy. Now that gift giving is big business, it may make sense to keep our surprises hidden away instead of displaying them, but I think I’ll stick with placing my gifts under my Easy Treezy artificial Christmas tree as soon as I get around to wrapping them. This entry was posted in Christmas Decorating Tips. Bookmark the permalink.